She came into our life in the usual way - well, not that usual. A friend needed to find a home for her cat and we had recently said good bye to our beloved Pandora, so, "Let's look into this," we thought. We met with our friend, gave the cat a look-see and said, "We'll take her." Ro took kitty in. Ro gave her love, affection, food, and vet care for 8 years. There were several dogs in kitty's home, so we knew our three dogs would not be a problem for Molly (little did we know!). We understood fully that Ro did not want to relinquish Molly to a shelter, even a good, no-kill shelter. While always an options (better than abandonment folks! ), it's always even better to find a new home for kitty. A loving, trusting, reliable home. 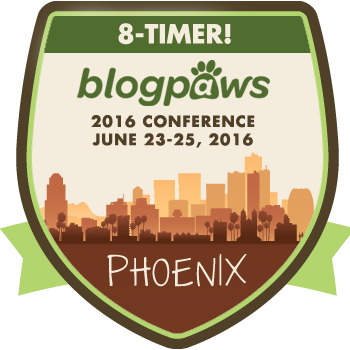 We're lucky Ro knew us from BlogPaws. She was certain we would be good pet parents for Molly. Clearly, it broke her heart to give her up. Oh, we didn't explain why, did we? Well, Ro is not in the best of health and kitty was compromising even that. Sigh. Why do so many wonderful pet people have to be allergic to cats? Great news from the Miami Herald: Yes,students, you may bring a pet to live with you. The video demonstrates the power of pets to calm us and help us through the day's trials and tribulations. Not just dogs, by the way. Cats and any other creature that touches your heart. 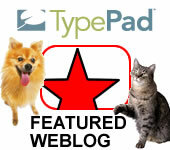 I thank Meta Viers for sharing this with me via BlogPaws. It's International Rabbit Day! Can I hear some shouts of joy and excitement? w00t! w00t! w00t!!! Who doesn't find rabbits cuddly and cute and adorable? If you shrugged or answered, "me", you should leave the room. Wait, don't just leave the room...leave the planet, please. Because today is International Rabbit Day and...we are celebrating the power of the bunny! Rabbits are great pets BUT... yes, there is a BIG BUT... they require care, understanding and lots of love, just as any family pet. You can't buy or adopt a rabbit and think it's okay sitting in a cage, while you poke carrots at it! Jeesh... what's up with that? I love this post from The Bunny Chick: 6 Ways To Make Bun Clean Up Easier!. She talks about caring for her 8 bunnies (you heard right, she has 8 beautiful bunnies). I was surprised by her tip #1 - "Litter Screens". I confess ignorance. Bunnies use litter, like cats? I did not know this. How 'tupid am I? Read the post, it's quite useful. Kitty wonders - what the xyz is going on? But, as long as litter box is clean and food is delivered, she will let the dogs stress about it. They better keep all this junk up here, out of my area in the basement! From my friends at the fantastic Colorado Pet Pantry where they are working like dogs... like dogs, I say... to make sure local furry pets can get fed even when their pawrents are unable to feed them... a big, big announcement! Have you gotten your tickets to the Bow wow Film Fest fundraiser for the Colorado Pet Pantry and PawsCo? It's a really fun movie at 2:30 pm on Aug 1st at the The Oriental Theater. This is our main fundraiser this year and the more people who come to the event, the more pets we can serve in 2016. And you'll have so much fun*. Bring the kids, they'll love it too. *If you're like me, you may avoid dog movies for fear that the pup will meet her demise at some point in the flick. (I didn't read the last chapter of "Marley & Me", and just so you know, Marley is doing just fine.) Never fear during this movie! The movie is a compilation of several short, fun canine films that will leave you bright-eyed, inspired and ready for whatever the evening brings you. Not familiar with the Colorado Pet Pantry? If you live in CO, I want you to pay heed... this organization is vital to the welfare of many animals, and those animals are vital to the welfare of their 'owners'. Keep in mind the benefits animals bring to our lives. Never forget the importance of rescue dogs who travel the world over and rescue victims of hurricanes, tornadoes and more. Or of cats in senior homes who bring some much needed love and affection. No, it's not necessarily those animals I'm talking about here, in conjunction with the Colorado Pet Pantry, but I want people to remember that animals are important to people in so many ways. Our pets make us happy and help lift depression. That's worth supporting by bringing food where it's needed, don't you agree? Well, as a fund raiser, having a movie night seems like a no-brainer. If you're in CO, and near Denver, you should be there. If you're not, share with your friends. They might know someone in the area that would love to participate. Be kind to animals every day. One of them might be tasked with saving your life someday. You never know. Appropriate for Adopt a Cat Month...even though we're now in July and it's Pet Safety Month now. This is all at BlogPaws, of course. We do follow their calendar. Molly observes her minions...and cuddles with her Tom. One of her favorite places is at Tom's elbow, no matter where he is. We think she wants her own blog. We LOVE LOVE LOVE our kitty! She talks to us, winds her pretty body around our legs when we go downstairs (does she want to kill us? ), lays about the house wherever she can... to leave her scent behind so the dogs KNOW who is in charge, and she just makes life better. We think everyone should have such fantastic experiences... so, if you haven't already, go to your local shelter and adopt a cat this month. I wish we could adopt another one... but not yet. Maybe...down the road a bit.